Join us for the 5th Annual Pirate Invasion! 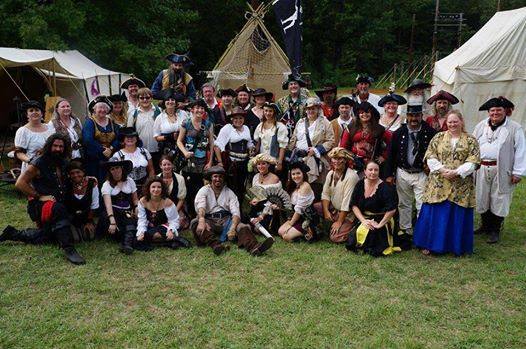 The grounds of the museum will experience an invasion by the rowdiest crew of Pirates ever seen in the Carolinas! Everyone is sure to have fun! 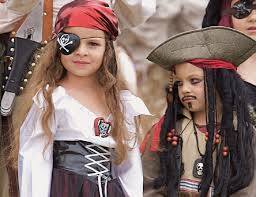 You will not be able to help it between the sword fights, pirate school, story telling, cannon firing, mermaids and all round pirate adventuring! 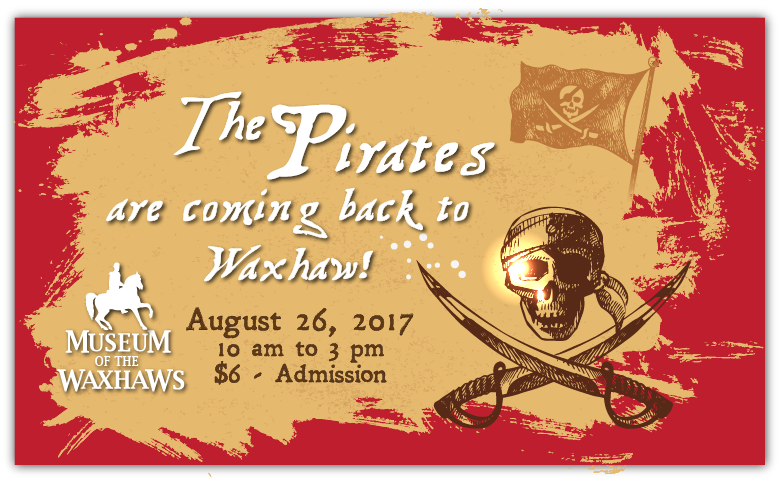 Presidents George Washington and Andrew Jackson will also be on hand to talk about their experiences fighting battles alongside with pirates! Entrance Cost is $6.00 for each visitor, except free for children 3 and under. Our main entrance will be closed. Please park at Waxhaw Elementary School. Please come dressed as a PIRATE!!! !